From March 7th to the 12th, we invite you to participate in a week-long celebration of the harpsichord and baroque music. We are honoured to welcome local greats as well as international harpsichord superstars to perform 5 concerts over 6 nights. The talent includes Jean Rondeau, Paolo Zanzu, Le Stagioni, David Gerrard, John Kitchen, Jan Waterfield and László Rózsa. The festival will also be a moment of discovery and learning, with a series of talks and workshops held at the Institut exploring musical techniques and the influence of this storied instrument. 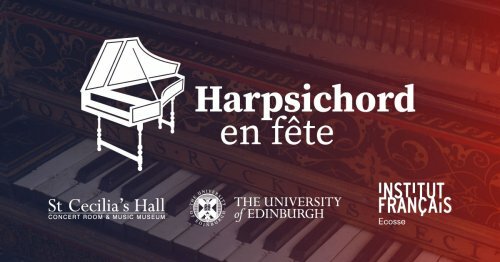 Concerts will be held at the Institut français d’Ecosse and at our festival partner, St Cecilia’s Hall, The University of Edinburgh. FLATTER, TICKLE & COURT THE EAR?